We’ve been receiving many emails lately asking us how we grew our traffic to over 30,000 unique visitors / month. So, we figured we’d write a post to answer that question. We’re still learning and improving, but here are some ideas which have helped us along the way. Hopefully they will help you build traffic so that you can sustain your travels with your website! Alright, we’ve all heard this one before, but it’s a good place to start! Write something useful that people are likely to link to (also known as “pillar content”) and you’ll see your blog traffic grow naturally. Our Goat Guides are our main traffic source and we believe they are a useful resource for readers. In our experience, long, detailed and USEFUL posts with lots of H1 tags, images and font decoration do very well in search results. Make sure you link to your pillar content from other posts within your blog, as well as from external sources. 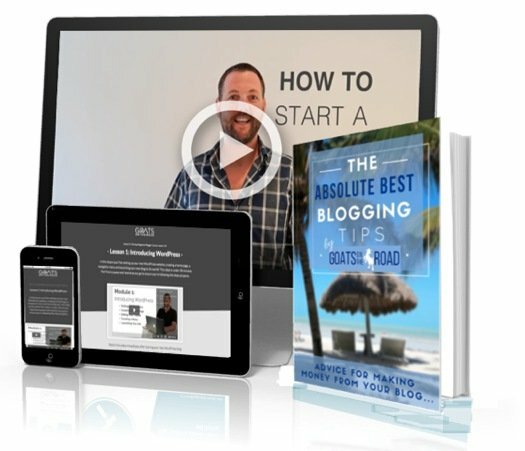 This is a big traffic deal maker and it’s our best secret for boosting blog traffic. This idea was first brought to me by Adam Costa of Travel Blogger Academy and it’s absolutely brilliant. Everyone knows that to get your name out there, you should write guest posts. But the real secret is to write 20 guest posts and request that they are all published on a specific date. 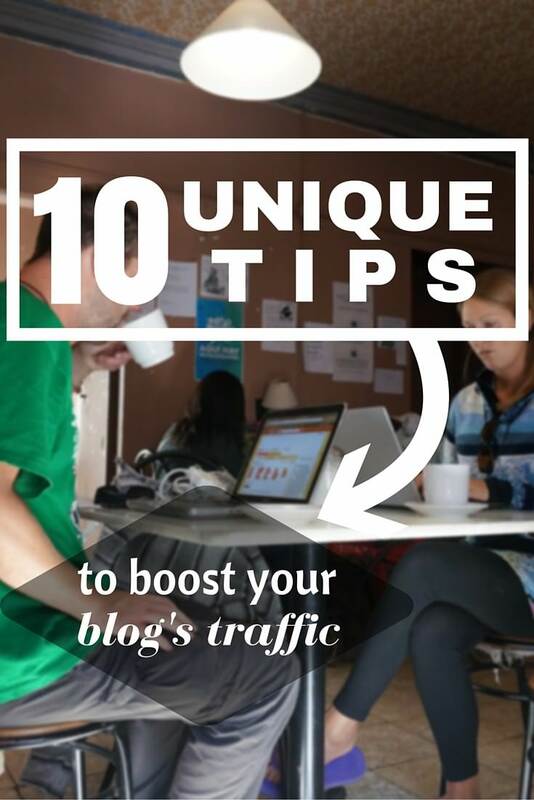 Do this a few times and you’ll create a buzz that will sky-rocket your blog’s traffic. Link back to your new pillar content from the guest posts and hopefully you’ll retain more visitors! **Goat Note: Matt Cutts of Google recently warned against guest posting as a form of boosting blog traffic because of recent spammy practices. It is still commonly believed, however, that honest, well-written guest posts are Google Safe. Every blog help program out there will tell you to comment on other websites every day for at least an hour. This is a good tip, but it’s much more useful to focus your comments on a particular topic and link them back to your pillar content. Get 50 people coming to your new resource from comments that are relevant and you’ll start retaining some comment traffic. Get the WP-Editorial Calendar Plugin (if you don’t have it already) and schedule the same amount of posts each week. Google likes consistency and new content. Like to post 3 times a week? Schedule everything on Monday, Wednesday and Friday and make sure you publish at a time when most of your readers are online. Posting randomly won’t help your SEO at all and you may not see an increase in your blog traffic, even if you post often. Get it down on a schedule! Google loves a post with videos. Google owns YouTube and gives higher ratings for posts with videos embedded in them. There are loads of easy-to-use editing programs out there like Final Cut Pro and iMovie for Mac, or Movie Maker and Adobe After Effects for PC. After you’ve mastered the basics, create your own YouTube Channel and start uploading your creations for the world to enjoy and watch your blog traffic grow! Looking for ideas? Check Out Our YouTube Channel! You’ll need to get your blog on Facebook, Twitter, Pinterest, Instagram, Google+ and any other social network you can handle. It’s a lot of work but it’s worth it. Dariece has recently been growing our Twitter following by about 1,200 people / month. 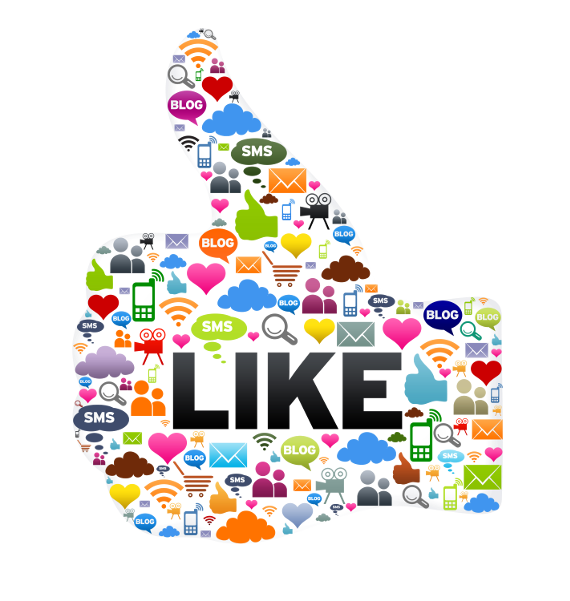 Social marketing is still one of the most commonly used practices for boosting blog traffic. If you haven’t done this already, it’s very important you do so. Mail Poet (formerly WYSIJA) is a great newsletter plugin and the paid version gives you plenty of extra features. We have a newsletter go out every Monday and we can see significant spikes in our traffic at the start of each week. This is a great way to remind people of your blog, but just make sure that it’s easy to sign up from your site and that you make it clear that you’re not trying to sell anything. An email address is a very personal thing and you should cherish each one that you receive from a reader. Make sure you send them interesting content each week and they’ll keep coming back. Want to see Mail Poet in action? Sign up for our newsletter now! This is a great tip that goes well with #7 on this list. Once you’ve set up a Newsletter, create a set of autoresponders or trickle-feeds that will send new members your best content periodically over time. Every time someone signs up for your newsletter, you can have a set of 10 or 20 emails that will be sent to them in a series for the following weeks. This way, new subscribers aren’t just receiving your new posts, but your best ones from the past as well! If you look at your blog’s traffic stats, likely one of your most read pages will be your About Page. When readers get to a new site that they find interesting, they like to find out the story behind the bloggers and exactly what the blog is all about. Once they click on the About Page, you have about 10 seconds to grab their attention before they click away to another blog… so you better make yourself look good! 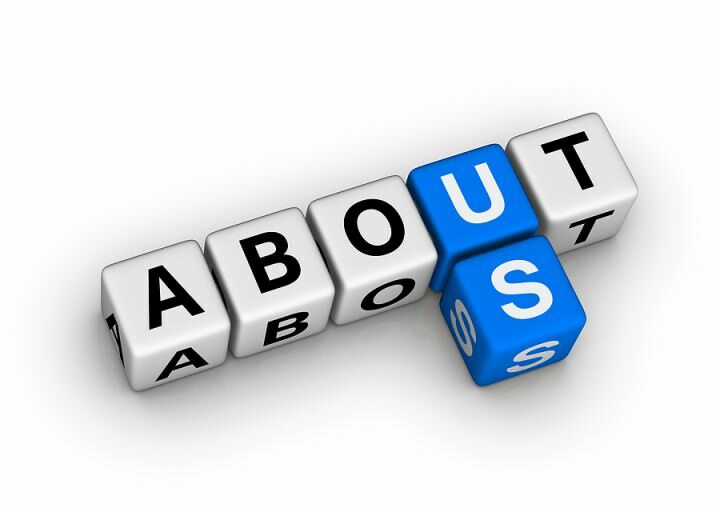 Make sure you are to the point and explain exactly what your blog is about and HOW IT CAN HELP THEM! This one took us a long time but it’s definitely worth it. 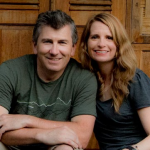 We hired Scott Eldo of EldoWebDesign.co.uk and we’re very glad we did. We believe our site looks much better and we’ve seen significant improvements in the loading times as well. If you want your site to look professional, have a professional design it. Mike Richard of Vagabondish.com has often said that a redesign is both a blogger’s most expensive and most fruitful investment. People will stay on your blog longer if it looks professional and is easy to navigate. Advertisers are more likely to pay you for space and content if your site is visually appealing and Google will always give preference to sites that are well tagged and easily indexed. A designer can help you with all of these aspects and more and after a redesign you’re likely to see a better click-through rate, more pages/visit and an overall increase in blog traffic. 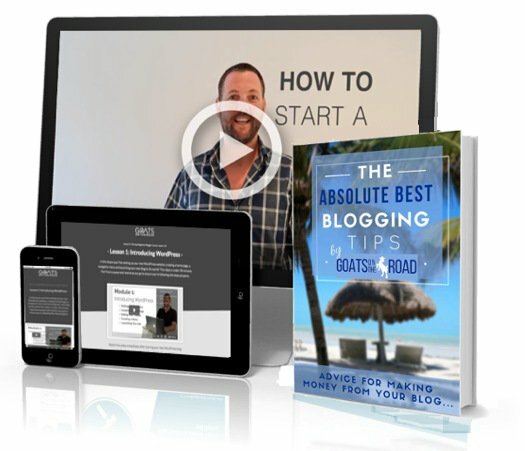 Now Start Boosting Your Blog Traffic! These are just some of the tips we’ve found useful for boosting our blog traffic. If you take just one thing away from this article make it the Guest Post Bomb. This is a powerful weapon and if executed properly, it can truly accelerate your traffic and make those lines in your Google Analytics Dashboard head skyward. We’ve been receiving a ton of emails on this subject and we’re happy to help! 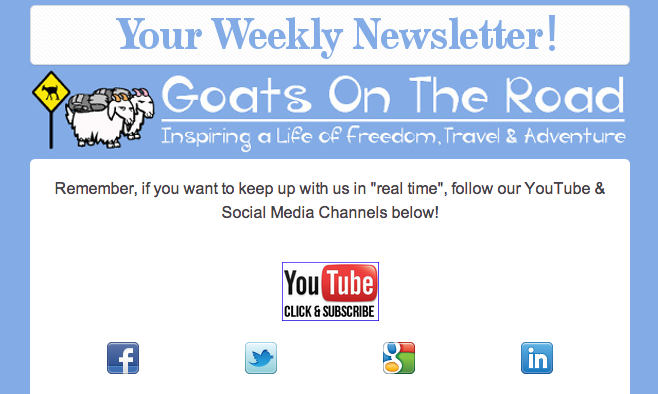 We’ll be posting more articles about how to create a successful blog on Goats On The Road so stay tuned! We found these tips useful. What have you found boosts your traffic the most? Please share below and we can all help each other build better blogs! So much valuable information. I will need to re-read again to make sure that I am on task with all of this. Thanks guys, you have put these points in a very easy to relate to way. Awesome tips…..let me try apply on my travel blog http://wangechigitahi.wordpress.com.. Super excited! can’t wait to see the numbers grow. I’m glad you found these tips helpful. we know the feeling of being a two-month-old blog! It definitely seems daunting, but there will be light at the end of the tunnel! Just keep up with the basics and you’ll get there. Feel free to send us an email if you would like. First of all, I LOVE the redesign. It’s perfect for you guys and gives your site the professional look your already professionally written content deserves. I think this guide is great for both bloggers new – and old. I know that there are always extra miles we could be going to push our travels out there for like-minded travellers, but we just haven’t got to that stage yet. Do you know we’ve NEVER written a guest post? Never mind 20! Thank you for this! We commented on a post of yours a while ago asking for tips on how to start a travel blog and today we’ve finally gone live! Thank you for all your inspiration, I’m sure this article will come in really handy for us over the next few months. Congratulations Lauren 🙂 Starting (and maintaining) a website is a lot of work, good for you guys! Thanks for the great tips! This is definitely getting bookmarked 😉 I only have a baby blog at the moment but hopefully with some hard work it’ll look as good as your’s! Thank you Olivia! Good luck to you. Great list, very helpful (and timely) since my blog is just a newborn right now. It can all be overwhelming – the social media, writing, commenting… I haven’t even thought of pitching to people for guest posts… but it’s also a lot of fun! I love learning about where everyone else has been. Thanks for all the infos, Ill try to use it on my blog. Especially N°4 and the one about the videos. Im wondering if the time of the day you post is crucial or no. Definitely start making videos, not only are they great memories, but Google loves ’em 🙂 You should post on a schedule and be consistent. You should also have a look at your Google Analytics to see which time of the day your site is busiest. Posting at that time of day may be a good idea. We choose to post in the evening, which covers most time zones – when it’s 8:00 at night in Canada, it’s 8:00 in the morning in China. We are personally more concerned about when we’re on social media, rather than the time of day we post on the website. As a new blogger, this post was super helpful! I’m going to try and vlog for my trip to Bucharest & Istanbul next week! Great tips! I have been blogging on my other blog since 2008 but our travel blog will be 3 in October. I really want to focus on videos for the rest of the year. We have lots of travels coming up so I think it would be a great time to add to our You Tube channel. I’ll have to get better at editing that is for sure. Happy travels and enjoy making some videos! Hey guys! Helpful tips. One thing I’ll say about social media; It’s easy to feel that you’re spinning your wheels and putting more effort than it’s worth. You do your facebooking, twittering, posting on Pinterest…then another blogger says “hey, do you have instagram” or “are you on Google+”. Someone else mentioned Triberr to me this week. You end up spending a lot of time and this stuff and sometimes lose your direction. I don’t know what works best for you guys, but for me Stumbleupon has been the biggest social media plus, I get almost 50% of my traffic there. Twitters good as well. FB; lots of fans but they’re ‘facebook fans’ – they like photos but it’s really hard to get them over to the site and for this reason I find myself spending less time there these days. Pinterest has been another flop for me – again, people like photos, but will they click on links? The fun stuff for me is posting content and reading/commenting on other bloggers content – social media is more the ‘work’ side of blogging for me and with limited time I try to get the most bang for the time I have. I wonder how you guys juggle/schedule all this? Your point 1, creating a resource is spot on. I started doing my own guides and they have been incredibly popular: http://bbqboy.net/destination-guides/. People sometimes want detailed, helpful information on a country and not just personal stories. My idea with these, as you say, is to make the resource the pillar and the stories/photos supplemental to the guides. So I’m glad I’ve worked on the same strategy ;). Besides, guides are fun to work on. Your other tips appreciated and things I have to work on. Again, it’s always about time management! Thanks for the comment! That’s great that you’ve created guides on your site, they are the perfect resource! Well over 1/2 of our traffic comes to our guides each day. As for Social Media, I’m still learning and trying to figure everything out. To be honest, I still don’t really get Pinterest and I don’t use Instagram. You’re right that Facebook fans seem to like pictures, but we do get clicks over from FB. Twitter is a great one and we are on Triberr, and suggest you join 🙂 It’s a great way to get your content seen by many people. Social Media is a tough one, but keep working on it! Oooh what a helpful post! Thanks a bunch for the link to the scheduling plugin. I’ve been looking everywhere for that! Must get on to the newsletter too. I had one for ages and then let it slide off into oblivion! How do you manage to send one out every Monday? Great post! I’m working on this at the moment, and I’m working on the Pakistan Traveler section of my site. 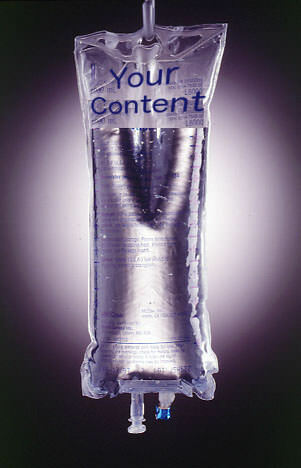 Although it’s a niche market, that’s what I’m hoping to tap into with my ‘pillar content’ as you say. I’ll be referring back to this page again soon! Great idea Tim. It’s hard to find a niche these days! Doing guides and providing info for Pakistan is a great idea, I don’t think there’s much info online about that fascinating country – somewhere we’d love to go one day. We’ll be checking out your travel section once it’s up and running! Wow… this is one of the most useful “Top 10” articles about blogging that I’ve ever read. Thanks for sharing! Good point about video. I’ve been writing content for a company that creates product videos for e-commerce sites. From my work, I’ve kind of figured out that video is the most misunderstood and underused medium out there, at least for online retailers. Even though an e-commerce site isn’t a perfect comparison to a travel blog, I’d imagine the practices that retailers believe in would help bloggers build traffic, too. You’re right, I think videos are underutilized as well. Google loves them and I think readers do too…plus, we love making them, so it’s all good! I initially read this post when I was doing research into starting a blog, and I’m glad that I’ve now read it again, because the main thing I missed was the schedule. I’m going to create a posting schedule so I can be less random. What a great tip! With regard to resources and newsletters, I currently only have 2 followers because my blog is so new (only a month old, but I’ve had 500 views, woot! ), so what would you suggest as a good option? Should I create a travel photos “best of” e-book available for free to anyone who signs up as an enticement? I’m really new to this and any tips would be greatly appreciated. Love your posts and always look forward to reading them, by the way! Keep up the good work and happy travels! Thanks for the kind words 🙂 Having an e-book or offering something else for free is a great way to entice people to sign up to your newsletter. Your blog is so new, give it time, you’ll have more followers! Keep up the good work – definitely get a scheduling program. Very helpful article….I didn’t know you can create a calendar schedule in WP….I am going to try it out. I like the one with the focussed comments, but how do you create the resource with the links back to comments? I’m not sure I fully understand what you’re asking, but I’ll give answering your question a try! Create a resource (maybe a guide to travel in a city or country, etc.) and then go to different forums and websites that have articles related to the subject of your resource. Comment on that post and at the end of the comment, insert the url of your resource, so that people will come over to your site. I hope this makes sense and that I’ve answered your question correctly! Thanks for this article guys! I’ve been doing my blog for about a year now but on the side of a busy job so I still feel like there’s so much I don’t know and could improve on to enhance my blog and some of these tips are really helpful for that! I’m such a fan of your blog so it’s great to see some of the tricks you used to make it such a success! Good luck to you, just keep plugging away at it and eventually you’ll get your blog to where you want it. We are a family of five that’s travel for one year throughout South America and China in the year 2008. We about to publish a book about traveling and parenting from our 2008 experience. We hope to do the same for another year in 2015. This article is very helpful for us as we think about how to travel blog throughout the trip next year. Thank you very much! Hey Mr.Su! What an inspirational story. I see you’ve already started your blog and your families adventures are definitely worth following. I’m glad you found this article helpful and I look forward to hearing about your travels in 2015! Best wishes and happy travelling. It sounds like you have a very interesting lifestyle/job! You’re able to travel so much 🙂 Good luck to you! Great tips, thank you! You make me feel like such a lazy blogger, hee hee! I really need to get into scheduling posts, I can be so airy fairy about it. I take such care crafting the posts but then publish them once they are done, regardless of the day. Now I’ve got some settled time after getting back from travels so I really must try to get a bit more organised, lots of posts to catch up on and then there are all the new baking posts to come, as I experiment with lots of travel-inspired cakes……. The food posts get far more views, and tick the blog over nicely while I’m off adventuring, these seem easier to gain longterm views. Sharing the posts with sites like Foodgawker and Tastespotting. You don’t need a recipe to upload a food pic to Tastespotting, might be worth a try for some awesome travel food posts, people love to see and share food! Thanks for sharing your awesome tip! I have never heard of those sites, but will definitely mark them. I’m especially grateful for the video editing recs. I really want to get into videos but didn’t really know where to start. Interesting ways to increase your hits to your website. 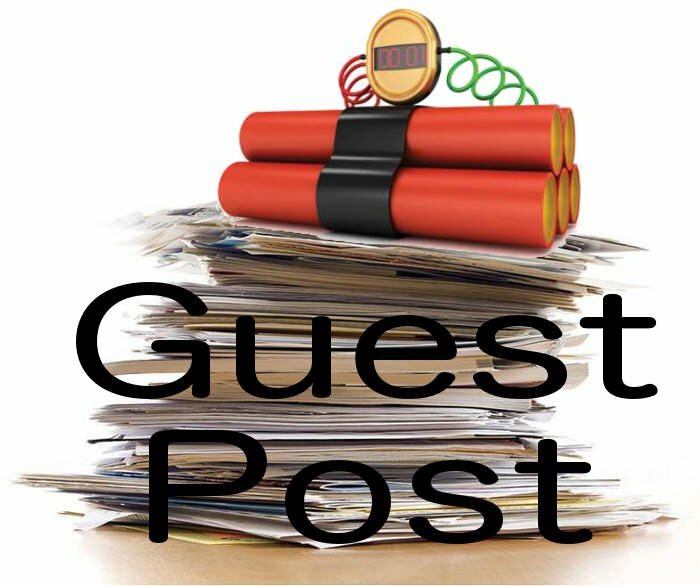 I used most of the ideas you mentioned but I am definitly going to try out this “guest post blog bomb” . Thanks again for the informative information. Another extremely helpful post from you guys! Thanks 🙂 I’m so excited to also start working with Scott at Eldo Web Design and to have a pretty sight. Another brilliant post from The Goats! Thanks! Sounds great Kirsty 🙂 We’d be happy to feature you! This is exactly what I have been looking for the last hour on the internet. I recently started a page and have trouble getting the readers, perhaps it’s the concept, the content, or the layout. One thing I know for sure is that I got to read through your tips again and make sure I have considered them all, e.g. networking on social media I can definitely expand. I am already hooked on your blog and read several articles. Well done – such good and relevant info. Keep it up and thanks again. Thank you so much for the kind words. We’re happy to help! Hi Monika 🙂 These things take time, you’ll figure out a schedule that works for you I’m sure. Happy blogging and thanks for the kind words! Great post guys, great tips, really enjoyed the read! Cheers! I’m curious, for your scheduled posts, what time zone are you working in? I’m trying to figure out a schedule for my own blog, although I don’t have much traffic yet and most of my readers are friends (I’m in the UK). I’m not sure whether I should be posting at certain times in the UK or focusing on EST or PST to reach a larger international audience eventually. PS: You guys are awesome! Thanks for the comment. We somehow started posting at 3:30pm PST, and have stuck with it. It’s not when most people are on our site or anything like that, it’s just a time that we came up with (ie: it gives us the whole morning to get an article together for the late afternoon if we need!) and it’s a consistent time, which is good as well. Your tips are wonderful. I’m very new to blogging and posted my first blog a few days ago. Awesome tips! I’m super excited to try some of them. The guest posting thing seems very daunting. After reading some of the older comments though, I’m going to branch out and try it. Thanks for Sharing Great Articles , great tips, really enjoyed the read! Cheers! Thank you for greate ideas! Especially about the design. It is difficult to find a good design, a professional and easy. Right now, I think about changing old design on my travel blog. Yes, design is very important! 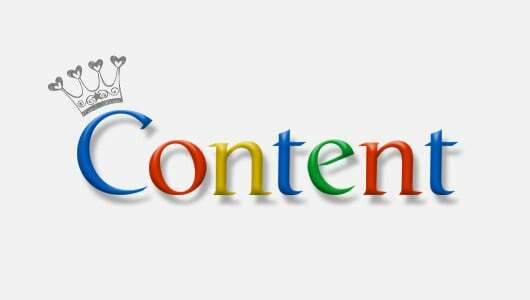 Yup Good Content pulls great traffic everyday and lifetime.. great article.. Thank you guys for the tips! It will surely come in handy for us newbies in the blogging world. I’ve already followed some of your advices, and now I’m looking for blogs to write a few guest posts. Hope to achieve such a friendly, interesting travel blog like yours some day… Keep up with the good work! Thanks so much for your willingness to share your tips and insights. As a person who is just learning to navigate all of the intricacies and nuances of blogging successfully, I have to admit that I am moving forward, through my fears. I am confident that this nagging inside me is there for a reason and my voice, while eclectic, is relevant and hopeful. Blogging is absolutely big business and following the strategies or imprints of successful bloggers makes sense.Just as soon as I get the budget, I will be making some improvements to my blog so that it is appealing and can reach as many people as possible. This article falls under the heading of “you didn’t have to, but you did it anyway” and it will help many of us. So I just want to reiterate that I appreciate you guys so much, and wish you continued success. Wow, thank you so much for your positive reply Robbi 🙂 We really appreciate it. Happy blogging! Great tips to increase blog traffic….I think traffic is the most important thing in blogging…Without traffic we can’t get anything from blogging….I’ve struggle a lot for getting traffics to my blog but after following your tips i’m getting good results to my site…..Thanks a lot for sharing this great post.